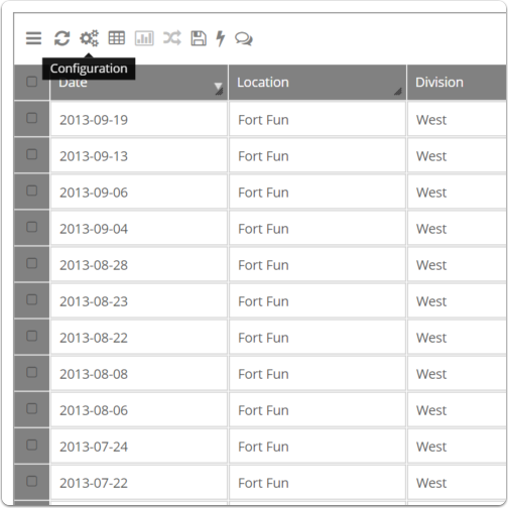 Documentation and SupportReleases 2014-11-13 ReleasesAdded Stacked Bar Chart, Stacked Area Chart, and Stacked Column Chart to the chart configuration tool. 1.1. 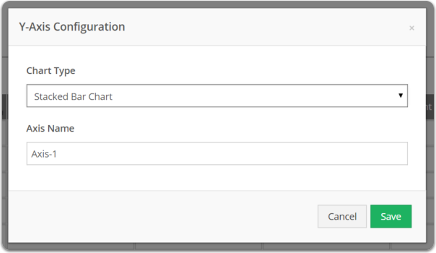 Open the configuration tool by clicking the gears above the grid. 1.2. Add the fields you want in the chart. Select the fields from the drop down menu and click the + to add it. 1.3. 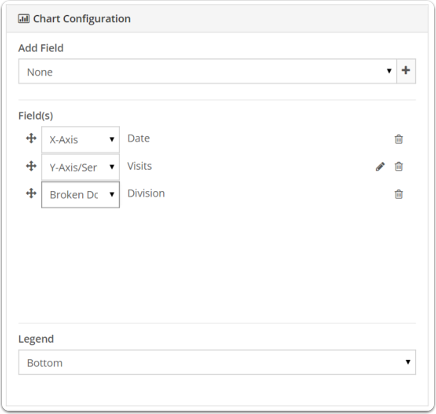 Select how the fields will interact with the chart. Y-Axis/Series is what the chart shows. X-Axis goes along the bottom of the chart (or up the side if using a bar chart). Broken Down By is what field the chart will break the data down by. Then select the chart type by clicking the "edit pencil" beside the Y-Axis option. 1.4. Choose the chart type and name the axis that this will represent then hit Save. 1.5. Click Load at the bottom of the Configuration Tool. 1.6. Click the Toggle Grid View to toggle off the grid. 1.7. Congratulations, you now have a Stacked Bar Chart! 2.1. Open the configuration tool by clicking the gears above the grid. 2.2. Add the fields you want in the chart. 2.3. 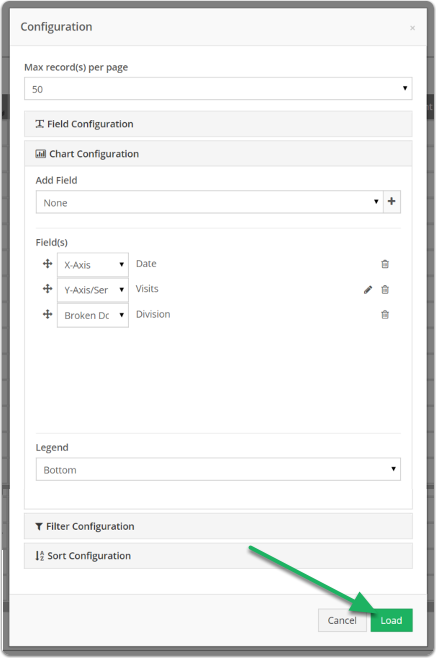 Select how the fields will interact with the chart. 2.4. Choose the chart type and name the axis that this will represent then hit Save. 2.5. Click Load at the bottom of the Configuration Tool. 2.6. Click the Toggle Grid View to toggle of the grid. 2.7. Congratulations, you now have a Stacked Area Chart! 3.1. Open the configuration tool by clicking the gears above the grid. 3.2. Add the fields you want in the chart. 3.3. 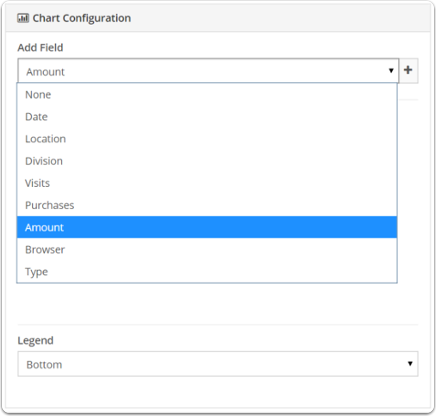 Select how the fields will interact with the chart. 3.4. Choose the chart type and name the axis that this will represent then hit Save. 3.5. 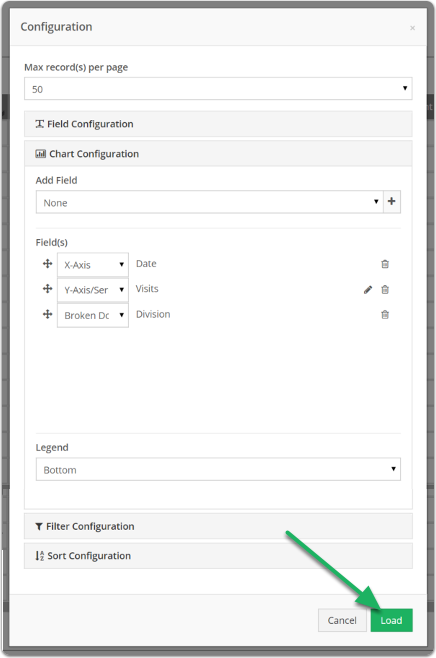 Click Load at the bottom of the Configuration Tool. 3.6. Click the Toggle Grid View to toggle of the grid. 3.7. Congratulations, you now have a Stacked Column Chart! Prev: Added the ability to check day of week/month for criteria in Business Rules. Next: Exports now have a drop down showing what view they are connected to.